Fascists sought to unify their nation through an authoritarian state that promoted the mass mobilization of the national community and were characterized by having leadership that initiated a revolutionary political movement aiming to reorganize the nation along principles according to fascist ideology. As Mark Twain noted, “History doesn’t repeat itself, but it does rhyme.” The fascism of Substrate Wars is built on exploiting tribal divisions, but not between states so as much as between races and the sexes, and between an anointed class of academic and government-class progressives (“the Clerisy”) and the private economy. The scapegoating of some groups and relentless attacks on them as manipulators who are harming the oppressed and stealing from the common people is aimed at different groups, but the basic mechanism remains. We see this today in schizophrenic demonization of the wealthy “one-percenters” at the same time there is continuing support by many of the same politicians of Wall Street’s artificially high share of the economy. The Federal Reserve’s efforts to limit the stock market crash of 2000 and the 9/11 panic produced a real estate bubble and ensuing debt crisis, but instead of reforming the systemic problems that caused the crash and paying down the bad debts, the world’s central banks and politicians have tried to artificially reflate the economy with even more debt, and as of this writing the US debt has climbed to $18 trillion. When actuarially sound and realistic accounting is applied to pension and Medicare obligations of state and federal governments, future taxes to pay the debts down at more realistic interest rates would have to rise to over 50% of incomes, closing on 100% in some states, a level so high it would depress actual tax revenues collected. Meaning some sort of debt repudiation—either hyperinflating it away or default—is likely. And in the US, the two parties are deeply entrenched in local and state politics and election supervision, and the law is written to discourage any new parties or independent candidates. The increasing partisan warfare has set people of good will who largely agree on most matters against each other, with the worst behavior of each party presented as entertainment to partisans of the other. The hatred and obsessive preoccupation with demonization of the other party disguises an important fact: if it were not for that party you hate so much, full of stupid, evil, and ignorant people you disdain, your party would become as corrupt as it is in those states where one party dominates. And the chances of governments run by one party investigating and reforming themselves are low. Some pundits admire China, where one party rules and Gets Things Done; but corruption is an enormous problem there, and will likely bring them down eventually. So, partisans, be grateful for those jerks in the other party—they keep your people honest. I have many friends who work for government agencies—teachers, scientists, managers. They tell me they work hard and do valuable work, and I know they are conscientious and well-meaning. But when they spend much of their time in meetings and fighting other parts of the bureaucracy; when they write thousands of pages of reports and laws that no one reads; when their function is not essential to defense, law enforcement, or some other core function only government can handle, it’s a tax-funded, permanent bureaucracy that squeezes out private alternatives and ensures that competition can never improve efficiency. I salute my hard-working friends who are public servants—but most of their time is actually spent serving the interests of the state and not the people. In the sectors of the economy that aren’t run or heavily regulated by governments, efficiencies constantly increase as competition and innovation combine. In sectors run by politicized regulation or directly by governments, innovation is very slow and relative costs of services continue to rise. Examples: education, medical services, defense, social services. Student loan debt is breaking the backs of young people; college administrators are higher-paid than ever, and there are more of them. Hospitals expand and merge and pay administrators huge salaries while charging astronomical fees for simple services. Military contracting is padded and turned into pork for Congressional districts. The space shuttle boosters blew up because they had to be made in segments to allow the contracts to be spread across districts. These are all consequences of politicized decisionmaking processes. A notable example is universal public schooling. No one thinks education is a bad idea, and local public and private schools competed in the US until the mid-1800s. Then states began to take more control, aiming to raise standards and make the curriculum more uniform, on a Prussian model which viewed children as raw material to be molded into good workers and citizens with allegiance to the state. The public education system evolved, and local control was reduced. Families found themselves taxed heavily to pay for the public system, which was “free” to them, and naturally chose not to pay twice to get education that was more directly tailored to their children’s needs or family desires. Thus an important link between parental concern and schools was broken—schools, like all other institutions, ultimately serve the concerns of those who fund them, not their clients. In many school districts now, parents are given lip service but opposed whenever they try to support reforms. And schools beholden to politicians and unions of their workers can be both expensive and truly awful. The worst result of this is that children are now learning very little history, economics, or science, and rigor has suffered. The least damaging solution is vouchers—give every student the money now being spent on their education to spend on any school their parents deem fit that passes reasonable standards. Public schools would have to compete with private and charter schools, and all would benefit—except possibly overpaid public school administrators. Resistance to this idea is fierce, of course. So that was a key mistake which allowed the population to be programmed with the idea that more government is the solution for every problem. Fixing it will take time, and the system will most likely crash before rebooting. And as recent graduates of this political indoctrination system have taken most of the positions in government, academia, and mass media, the commitment to truth has suffered. An entire society has been dumbed down. 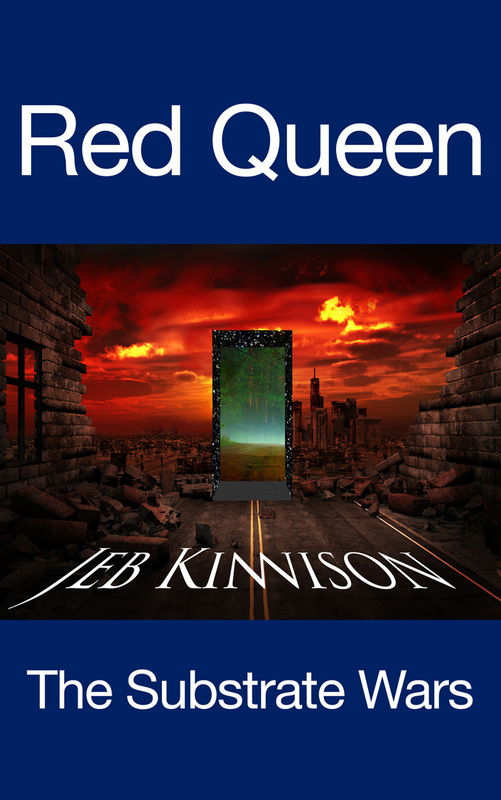 Posted in Books, Education, Government, Investment and Finance, Science Fiction and tagged crony capitalism, debt bubble, deep state, police state, political correctness, red queen: the substrate wars on January 3, 2015 by Jeb Kinnison.